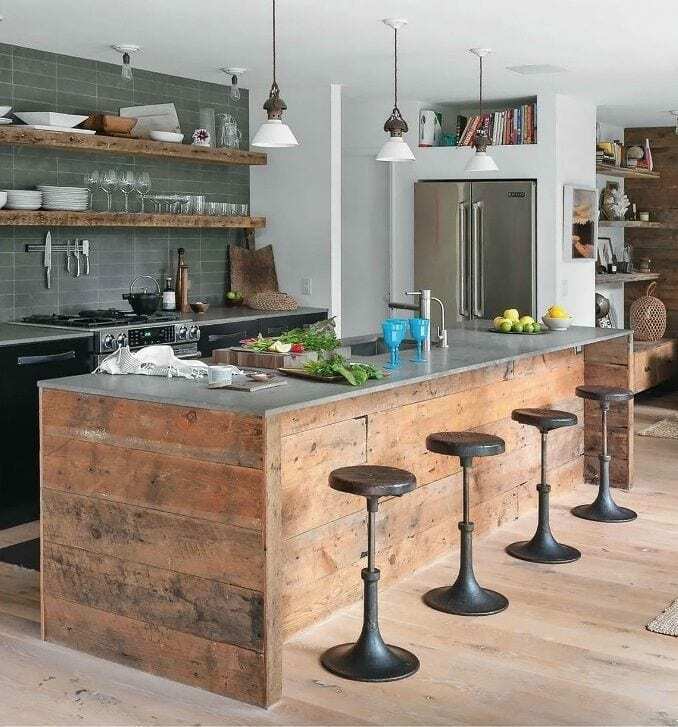 Today’s Guest Post has some interesting design ideas for making a great kitchen. Enjoy! Do you have the culinary skills of Gordon Ramsay and the dessert-crafting prowess of Nigella Lawson? Do the names of your foodstuffs contain words like “parfait” and “compote”, as opposed to “readymade” or “baked beans”? Does the idea of bunging tomato ketchup on food make you physically sick? Then you’re going to need a kitchen to match your foodie cravings. Indeed, while your palette is fully developed, your kitchen certainly isn’t. So, how can you turn it from bog standard to full-Blumenthal? Just imagine the horror of spilling your spag bol on kitchen carpeting. You’ll be stuck trying to get the stain out for hours, if you manage at all. That’s why, naturally, most kitchens are kitted out with lino or marble. But you don’t want to freeze your toes on that ice-cold covering. The solution, then, is to dot a few kitchen mats around your cooking hotspots, the places where you’ll be standing the longest. You’ll have the best of both worlds – a spill-free surface and toasty warm toes. There are so many kitchen appliances around that are absolutely useless – artisan bread makers with added Wi-Fi dongle, fridges with coffee filters, toasters designed to scorch bread to cinders. But, amidst the marketing noise for the latest Eggshell Peeler Pro, it can be difficult to realise just how absolutely pointless these appliances are. The basics are all you really need. A competent oven and hob, blender, kettle – all the standard white goods. A poor craftsperson blames their tools, after all, so don’t find yourself wasting cash on the latest Toast Destroyer 3000. You’ve ordered as many foodstuffs as your credit card will allow, but where will you put it all? Finding storage space can be a nightmare, especially if your kitchen is as teensy as a woodlouse placed under a miniaturising ray gun. So how can you pack all your favourite ingredients into your kitchen? Purchase a few free standing shelving systems that can fit in your hallway or a free corner of your kitchen. You’ll soon have enough space for every ingredient you fancy in your cupboards of wonder. If you’re anything like this cooking enthusiast, you’ll like to spread out your ingredients before you throw them all in a pot – but that takes a heck of a load of worktop space. Again, not every kitchen has the luxury of being able to spread out their foodstuffs. So why not set up a worktop table in another room and prepare your food there? This doesn’t have to be an uber-expensive undertaking, either – simply find a free-standing table where you can chop and make your ideal foodie goodies. Where can I buy those stools?